A North Korean official has arrived in New York for talks with Secretary of State Mike Pompeo ahead of what the White House says is an "expected" summit between U.S. President Donald Trump and North Korea's Kim Jong-un. 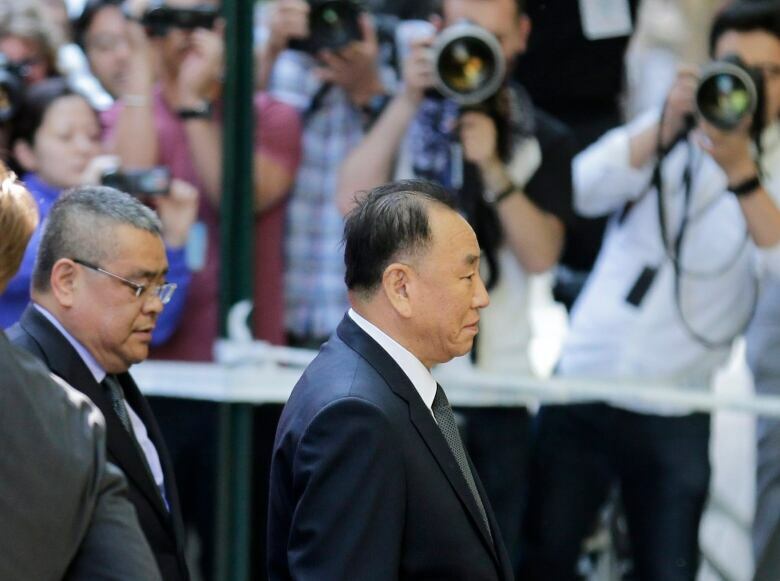 A senior North Korean official arrived in New York on Wednesday in the highest-level official visit to the United States in 18 years, as President Donald Trump and Kim Jong-un sought to salvage prospects for a high-stakes nuclear summit. Kim Yong-chol, the former military intelligence chief and one of the North Korean leader's closest aides, landed mid-afternoon on an Air China flight from Beijing. Associated Press journalists saw the plane taxi down the tarmac before the North's delegation disembarked at JFK International Airport. 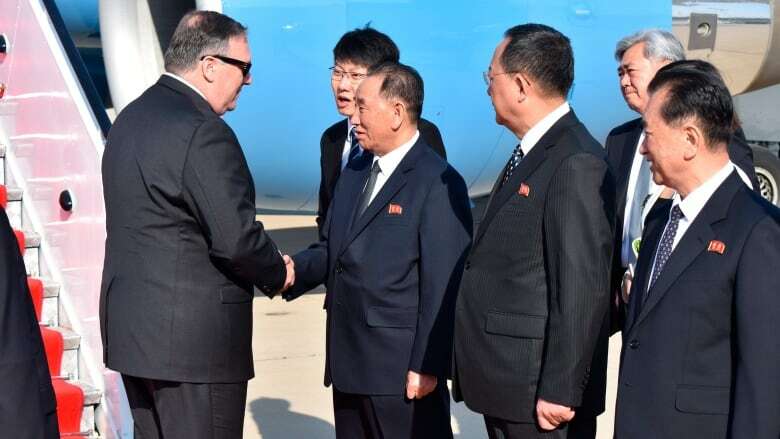 During his unusual visit to the U.S., Kim planned to meet with Secretary of State Mike Pompeo, who was travelling up from Washington. 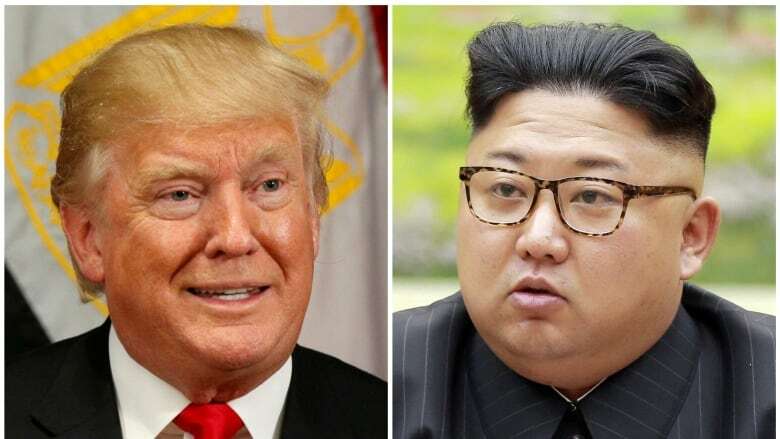 Their talks will be aimed at determining whether a meeting between Trump and Kim Jong-un, originally scheduled for June 12 but later cancelled by Trump, can be restored, U.S. officials have said. Speaking to reporters on Wednesday, White House spokesperson Sarah Huckabee Sanders said the White House expects the summit to happen on June 12, and will be ready if that happens. The talks come as preparations for the highly anticipated summit in Singapore were barrelling forward both in the U.S. and in Asia, despite lingering uncertainty about whether it will really occur, and when. "The conversation is going to be focused on denuclearization of the peninsula," Sanders said. "That's what these ongoing conversations taking place now will be centred on, as well as the summit that would take place in Singapore." North Korea's flurry of diplomatic activity following a torrid run in nuclear weapons and missile tests in 2017 suggests that Kim is eager for sanctions relief to build his economy and the international legitimacy the summit with Trump would provide. But there are lingering doubts on whether Kim will ever fully relinquish his nuclear arsenal, which he may see as his only guarantee of survival in a region surrounded by enemies. Trump announced that Kim Yong-chol was coming to New York for talks with Pompeo in a tweet on Tuesday in which he said he had a "great team" working on the summit. That was a shift from last week when Trump announced in an open letter to Kim Jong-un that he had decided to "terminate" the summit following a provocative statement from the North. Pompeo, Trump's former CIA chief, has travelled to Pyongyang twice in recent weeks for meetings with Kim, and has said there is a "shared understanding" between the two sides about what they hope to achieve in talks. North Korea's mission to the United Nations in New York is its sole diplomatic presence in the U.S. That suggests Kim Yong-chol might have chosen to first go to New York because it would make it easier for him to communicate with officials in Pyongyang, North Korea's capital. North Korea and the U.S. are still technically at war and have no diplomatic ties because the 1950-53 Korean War ended with an armistice, not a peace treaty. After the North's combative statements, there was debate inside the Trump administration about whether it marked a real turn to belligerence or a feint to see how far Kim Jong-un could push the U.S. in the lead-up to the talks. Trump had mused that Kim's "attitude" had changed after the North Korean leader's surprise visit to China two weeks ago, suggesting China was pushing Kim away from the table. Trump's letter, the aides said, was designed to pressure the North on the international stage for appearing to have cold feet. Kim Yong-chol is a vice chairman of the North Korean ruling party's central committee. The last official of his stature to visit the U.S. was Jo Myong-rok, the late first vice chairman of the National Defence Commission, who visited Washington in 2000, South Korea's Unification Ministry said. The White House emphasized that it has remained in close contact with South Korean and Japanese officials as preparations for the talks continue. Sanders said Trump will host Japanese Prime Minister Shinzo Abe on June 7 to co-ordinate their thinking ahead of the summit. Trump hosted South Korean President Moon Jae-in last week. Moon, who has lobbied hard for nuclear negotiations between Trump and Kim Jong-un, held a surprise meeting with the North Korean leader on Saturday in an effort to keep the summit alive.